Immerse your child in the exploration, creativity, and fun of a Waldorf summer camp. 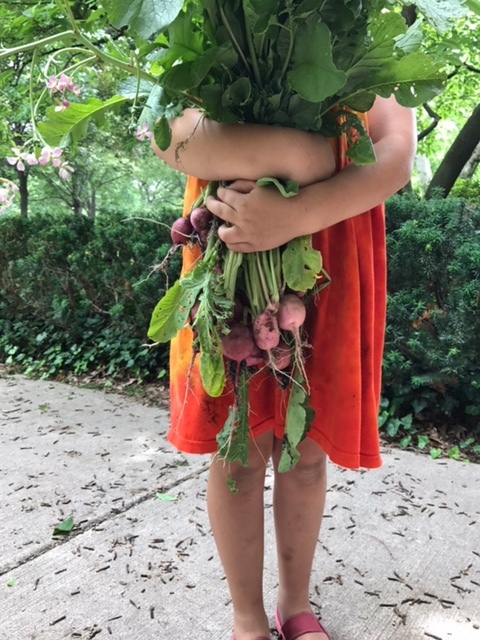 Summer camp at Detroit Waldorf School will give your child the freedom to tap into his or her creative spirit, explore the natural world, and cultivate a deeper love of learning. From early childhood through the grades, campers will spend their days playing games, singing songs, cooking and baking, exploring the arts, gardening, playing music and experiencing all the wonderful moments that make camp fun! Campers will experience new challenging and exciting opportunities with bi-weekly themes that focus on special activities from arts to games. Register for specific weeks or the whole summer. Deadline for registration is Friday, May 17, 2019. There are two separate registration forms. One for Early Childhood/Pre-K and another for Grades 1-8. A refund will be made if the incorrect form is filled out. Non-DWS students must provide a current physical examination & emergency form 2-weeks prior to session start date. Camper drop off is from 8-9 a.m. and pick-up is between 3-3:30 p.m at Detroit Waldorf School, 2555 Burns, Detroit, MI 48214. There is no extended care provided during summer camp. Campers should be dressed for the weather along with a change of clothes, indoor and outdoor shoes, swimsuit and towel, hat, sunscreen, lunch, a water bottle and a snack. Pre-K and Kindergarten campers should also bring a small pillow and lightweight blanket with them for rest time. Toys, candy, and electronics should be left at home. Please remember to label all of your child's belongings. The cost is $250 per week. Single week or multiple weeks can be selected. Contact Ryan Gumbleton at ryangumbleton@detroitwaldorf.org.